The Gunman Clive HD Collection creator Bertil Hörberg recently revealed on Twitter how he had sent his game to Nintendo for Switch approval. Having previously stated in April how he had been sitting on a "near complete port" that was running on the hardware before the hybrid device's official launch, he's now finally done implementing fixes. At this point, a release date has not been announced. 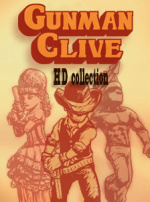 The Gunman Clive collection was previously released on the Wii U in 2015. The original game and sequel in this collection pack were also made available on the 3DS in 2012 and 2015. We gave the Wii U eShop collection nine out of ten stars and said the games included were two of the most impeccably-crafted action platformers of the last decade. Will you double-dip when this HD collection arrives on the Switch? Tell us below. Oh yeah! Forgot about these! Probably not. I have these games on 3DS and they look AWESOME in 3D. Oh hell yes!!!! I love the Gunman Clibe series and i actually haven’t downloaded the HD collection on Wii U so this is perfect for me!!! Fun little series albeit a bit repetive somewhat; could have used a bit more weapon and upgrade variety and maybe some more levels but other than those itty bitty gripes, I loved this series quite a bit. Here’s hoping we get more installments/sequels soon. Played those on Ipad, fun for a little while. I’d have preferred “The Complete Hörberg HD Collection” featuring Gunman Clive 1 & 2 along with their other two games Trouser Trouble and Helium Boy given the HD treatment. They only made four games and are currently living off Gunman Clive ports somehow. This got one of the greatest soundtrack of any indie games out there. Definitely looking forward to it again for the third time. Got bored of this one fast. Too repetitive and slow. Now with the new guest character, Shovel Knight! Double Dip, I am going to triple dip for this game!!! and a dozen more... and that's just for the last 2 months. I love when overlooked highlights such as Squids Odyssey and Toki Tori 2+ get a second chance on Switch. I'd also pick Costume Quest 2, Master Reboot, Dual Core, The Quiet Collection, RUNNER 2, Armikrog, RUSH, Never Alone, FreezeME, Shadow Puppeteer, Tengami, Life of Pixel, Thomas Was Alone, Noitu Love Devolution, Ultratron, and more, over many of the Wii U ports that are actually released on Switch. Small, old Wii U games (or rather DS downloads) that don't have any new content - like 99Seconds and Abyss - should be in a collection, bundled along with 99Moves and 99Bullets (as they seem to be one series). I found them pretty barebones when playing them on Wii U. I wonder why EnjoyUp Games is re-releasing stuff like this, and other basic/casual games like Darts Up, and Rock 'n Racing Off-Road, but not an indie classic like La-Mulana. So is Chieftan Bob going to be considered non PC and offensive due to his head dress and spear? I can hear the SJW’s screaming at the video already! I'd really, really like to see the Duck Tales Remastered port for WiiU making the transition, of games which haven't already. Pazuzu666, I suppose there might be an issue with the license. Personally, I'd prefer the Castle of Illusion remake, since that one never even hit a Nintendo system. I didn’t pick it up on my 3ds but may pick it I’ll on my Switch. If we get old game collections like this, maybe we could see box boy collection on the switch? "Double-dip" is usually my first thought at such announcements (heck, Iconoclasts remains on my wishlist even after it landed on my Vita as a PS+ title last week), but not when I have beaten the games in question. Still, another neat addition to Switch library. I’d love a third game someday. Already have on Wii U. Great games. @SKTTR lol EDGE is shovelware! EDGE is a very polished and unique arcade platform/racing/puzzle mix. There are 48 normal levels, 44 extended levels, and 17 bonus levels all with their own varied challenges, collectibles and time trials. The controls are simple but you can do some cool tricks nevertheless. The presentation is on a very high level, it could fit Nintendo's own "Art Style" series, right down to the catchy electronic soundtrack. And they want just 1,99 for this little treasure, can you believe it? These games are fantastic. It really shows the talent of Hörberg and that even cheap games can still be very creative and ambitious. This was something that rcmadiax just couldn't wrap his head around. @SKTTR It plays like garbage. Great games and a fun series. @SKTTR Have you tried the Wii U version with the digipad controls or the mobile game with the touch controls? I haven't played the mobile touch version, so maybe its controls have tainted your impressions. @mist He'll be ok, don't worry. I've been meaning to grab these games, and it looks like I'll have the chance. Simple, straight forward games that boast a good time without needing a ton of investment-perfect for me when I'm perpetually short on time! I played through the first one on 3DS. It was over in an hour and though it was fun while it lasted, I never really wanted for more. Still, if it's under 5 Euros, I might give it a go again on the Switch. finally!!! will get it day one!